Bryan Muller, aka SCNTST, is an accomplished, young German producer forged in the fires of Munich not 21 years ago. Bold, sonically daring, avant-garde, childlike; all ways you (and he) would describe his talent and persona. For years now he’s been churning out sounds more than twice his age in maturity and eminently more refined than most you’ll hear blaring from any club or warehouse stage. Muller emerged as a prodigy story. He latched on early to heavy influencers like J Dilla, developing a unique sound that boasts everything from suave, melancholic hip hop to pulsing, kinetic electro. His tracks are precise and methodical (even scientific!) at absolutely no loss of rhythmic depth or dancey melodies; it’s all mixed in there amongst eccentric vocal samples, jazz lines, uppity bass licks, you name it. His crisp production got noticed immediately by many that matter, most importantly Boys Noize, who saw the future in this young man and signed him to their label. Big time stuff. 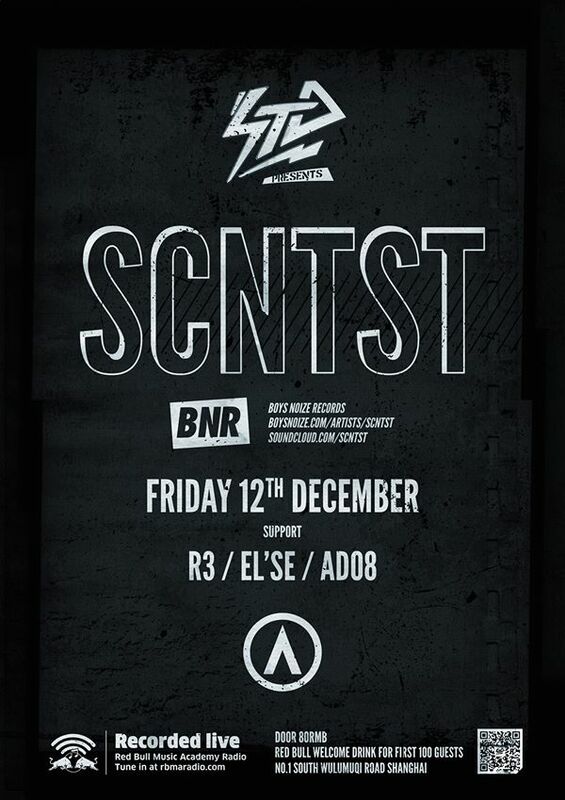 SCNTST is still riding the wave of his latest album release and will be injecting that energy into his live set at Arkham. He’s a boundary-pusher and adamant non-mainstreamist, mixing music for tomorrow. We originally tried to bring him over to the hai in October but that fell through, however he is coming back so as always come unprotected!